HMRC has made some significant updates to the treatment of P2P losses for tax. Welcome to your investor update! Some significant changes are coming which may affect you, so please take a minute to read this note. HMRC have now published their final guidance on how and when losses on Peer to Peer (P2P) loans can be used to reduce tax liabilities. The new rules are very generous in that a loan can be treated as irrecoverable for tax purposes once there is no reasonable prospect of the recovery of the loan from the borrower. The ability for the investor to be repaid from other sources, such as via personal guarantees or security, can be ignored. In the current tax year - 2015/2016 - claims for loss need to be made by you, as the investor. Losses can be claimed against either Income Tax or Capital Gains Tax, and claimed differently for different loans. * From 6th April, the loss claims will normally be made by the P2P platform, for example FundingKnight. * From 6th April, losses will automatically be treated as losses for Income Tax and offset against your income with us. If losses in a tax year exceed your income with us, you can use the balance against P2P income from other platforms in the same tax year and, to the extent that you still have residual losses, then against subsequent tax years. If you wish to do so then you must notify HMRC. We have reviewed each of the FundingKnight loans that are currently "In Recovery" and have determined that they meet the HMRC criteria for them to be treated as irrecoverable for tax purposes and for investors to make a claim for loss. 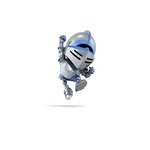 FundingKnight classifies loans as "In Recovery" when we have serious doubts about the borrower’s ability to meet their obligations, but still consider that some or all of the monies owed to investors will still be paid, albeit generally by guarantors and/or by realisation of any security and outside of the original payment schedule. If you have loans in this category you can choose whether to use the loss against either Income Tax or Capital Gains Tax, according to your personal circumstances. As a general principle, if you wish to use the loss for Income Tax purposes, it will need to be against your 2015/16 income, whereas for Capital Gains Tax you can carry this forward until you need it. Future monies recovered from the borrower and/or guarantor will be added to your account and you will need to separately report these receipts to the HMRC, as either Capital Gains or interest, depending on which relief you claimed. All loans will remain in recovery on your Dashboard. We will only re-classify loans as "written off" once we know there will be no further monies coming in from either security held or from personal guarantors. Please speak to your tax advisor for advice regarding which course of action is best for you. kayfundingknight I trust you have no objection to me pasting this in its entirety other than redacting your surname and email address. The most important two words in that email are IMO "Seek Advice"
The consensus amongst forum members who have studied the tax guidance seems to be that ONLY those loans that became potentially irrecoverable between 6th April 2015 and 5th April 2016 can be treated as being irrecoverable for the purposes of offsetting against income tax. This thread on the general board, and this thread on AC's board contain the commentary. I've analysed all my FK loans which are in debt recovery, and the majority I would say became potentially irrecoverable before 6th April 2015 when using the date of insolvency / administration proceedings or the date FK reclassified the loan as "In debt recovery". once there is no reasonable prospect of the recovery of the loan from the borrower. Err, no I would take my guidance from that recently published by HMRC and explained in some detail in the first thread I linked to. When is a peer to peer loan treated as irrecoverable? Under the legislation for income tax relief for irrecoverable peer to peer loans in certain circumstances a loan may be treated as irrecoverable for the purposes of the relief even if there may be a prospect that the lender could recover some of the amount outstanding. When loans are made against security, a loan may be treated as becoming irrecoverable as if the security did not exist. When the borrower has entered legal recovery procedures such as liquidation, administration, receivership or bankruptcy the loan may be treated as becoming irrecoverable as if such action was not available. Its taken me several hours to plod through all the guidance and the finance act, and to phone someone more familiar with HMRC terminology to make sure I understand the implications as best as I can. The guidance still has some holes, and as I said in my earlier post it is vital lenders Seek Advice. Ultimately one needs to rely on the legislation (still the Finance Bill at the moment). This grants relief when a loan has become irrecoverable on or after 6 April 2015, and defines irrecoverable to mean "irrecoverable other than by legal proceedings or by the exercise of any right granted by way of security for the loan." Re security - You do not disregard the underlying asset(s), you merely assume that the right to exercise the security is not exercised. This will give a different answer in some cases. Re legal recovery - The legal proceedings exception applies in all cases, not only after the proceedings have been entered into. I would add that the definition does not permit you to disregard completely the ability to enter legal proceedings or to exercise security rights. The ability to do these things, and the threat of doing so, is an important underpinning of the recoverability of any loan. If the ability and threat are sufficient to make the borrower cough up without resorting to further action, the loan is not irrecoverable under the definition. I thought the HMRC guidance also said the platforms would be in the best position to decide which loans meet the criteria, so if I get guidance from the platform I would use that. Their knowledge of the loans and exactly what happened with each one is much greater than mine, even using my best judgement I'm only guessing. It seems that the platforms will make the decisions next year anyway and automatically deduct losses, if we all do our own thing this year sorting it out next year will be a nightmare. Please note, we have revised our understanding of the treatment of tax losses following further clarity received from HMRC. Since writing to you on the 4th April, we have received further clarification from HMRC about when loans are to be considered irrecoverable and therefore eligible for a tax relief claim. This has highlighted a mismatch on the definition of irrecoverable between the new rules for Income Tax and the existing ones for Capital Gains Tax. This means that, based on the draft clauses in the Finance Bill, some of the information in our last email was incorrect. In the last email we stated that each of the FundingKnight loans classed as “In Recovery” could be treated as irrecoverable and therefore investors are able to make a claim for loss against any or all of them for either Income Tax or Capital Gains Tax. This is wrong for two reasons. Firstly, the proposed changes to the definition of when a loan becomes irrecoverable only apply to P2P loans for Income Tax purposes and not for Capital Gains Tax. Secondly, the cut-off date for when a loan is treated as irrecoverable for Income Tax is only by reference to the borrower becoming unable to pay after 5th April 2015. Loans classified as “In Recovery” will be treated differently depending on the precise date when the original borrower ceased to be able to pay. • A claim for loss against Income Tax is not possible. • A claim for loss against Capital Gains Tax is only possible once all payments have stopped. In practice if the only payments due are from an Insolvency Practitioner and it is expected that investors will get some pence in the pound, then it is usually acceptable to claim for the expected net loss. For example, if you are only anticipating 10p per pound, then a claim for 90% of the capital as a loss should be acceptable. If the final loss is different, then if you get back more the difference will be a capital gain (or a further capital loss if less). • A claim for loss against Income Tax is possible. This must be made by the investor to HMRC. • The Capital Gains Tax position is as above. • The loss is automatically considered irrecoverable for Income Tax purposes. The loss claim will, in most instances, be made by the platform (e.g. FundingKnight). • Capital Gains Tax relief will no longer be available in most instances. FundingKnight will adjust the tax reports automatically to offset the loss against other income. We are now revisiting each “In Recovery” loan to determine the precise date that the original borrower ceased to be able to pay in terms of the Income Tax rules. The rules are still awaiting final Royal Assent, which we expect in the coming weeks. Once this has been given we will provide affected investors with the precise information they will need for their tax returns. Please accept my apology for any confusion we may have caused. The above is in line with my understanding, for the simple situations that it covers. Does one choose to offset against either Income Tax or Capital Gains as one feels fit? Please note, we have revised our understanding ................following further clarity received from HMRC. Kay, where are you at with capital gains and losses with secondary market transaction? It is possible to pull a report showing marketplace transactions but it doesn't show the principal purchased, just the price we paid for it. 27 Feb 2015 Loan novation (sale) - bloggs and co expansion loan (S0714J999-9-9999) £43.50. Apologies for not coming back sooner - I have been out of the office. Royal assent regarding the tax treatment of losses is still awaited. We are working on the reports in readiness - I cannot confirm, at this stage, how the information will be presented but they will be in line with HMRC requirements. Even so the report as at present is singularly informative - irrespective of tax don't you think lenders want to know what they paid by way of a premium (or discount), have you looked at the Marketplace Transactions Report? The Finance Bill received Royal Assent on 15 September. The provisions on income tax loss relief are unchanged. Note the following advice/warning on their tax report summary. "* Important notice for UK individual taxpayers. This report is still under construction and should not be used for submission to HMRC. This warning will be removed once the report is complete, we anticipate this being no later than 31st August 2017." I nearly missed it the first time.